(STILLWATER, Okla. May 27, 2016) - The Oklahoma Harness Horse Association is hosting the Cowboy Country Horse Driving Trial June 4-5, 2016 at the Payne County Expo Center. The competitions are designed to showcase the agility of driving horses through a series of timed obstacle courses based on specific patterns, kilometers covered and equine welfare. "The Oklahoma Harness Horse Association is expecting 31 competitors this year with a larger number of miniature horses competing this year than in previous years," commented event coordinator, Maria DiGregorio. Spectators are welcome Saturday and Sunday and the competition begins at 8:00 a.m. each day. Admission is free. The horses and carts will be stabled in the Livestock Pavilion at the Payne County Expo Center where spectators are able to view the horses up close. The Hungry Duckling Food Truck will be on site for both competitors and spectators. For more information about the Oklahoma Harness Horse Association or the Cowboy Country Horse Driving Trial, contact Maria DiGregorio at 918-225-9216. The Oklahoma Harness Horse Association (OHHA) was formed in 1992 to promote education, activities, and competitions for those who work horses in harness. Active members reside from central Oklahoma to southern Kansas. 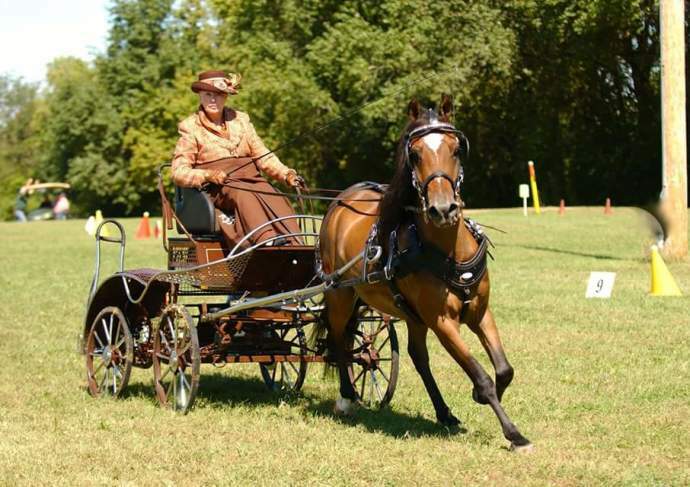 OHHA drive a variety of equine breeds that include ponies, both large and small, draft and draft crosses, Morgans, Saddlebreds, and Quarter Horses. The Payne County Expo Center is located at 4518 Expo Cir E in Stillwater, OK.